Nikon EDG binoculars are made with extra-low dispersion ED glass for superb image sharpness and truest color. The prisms of the Nikon EDG receive dielectric film coatings to improve light transmission, while every glass surface is multi-coated for maximum brightness. The magnesium frames of the EDG binoculars keep the weight low even on the largest model. 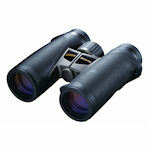 Nikon EDG binoculars are available in 8x32, 10x32, 8x42 and 10x42. 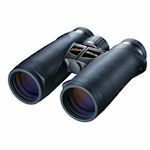 With large fields of view, tremendous depth of field, and features like multi-position, removable eyecups, the Nikon EDG is competitive with the best binoculars available.